On March 25, 2015, two food and beverage giants H.J. Heinz and Kraft Food were announced to join forces later in the year, provided the closing goes as planned. This is a huge deal for both companies, as the food magnates are struggling to keep up with health-conscious individuals who are turning a blind eye to processed foods. This merger could be the first in a long line of companies forming alliances to stay afloat in the shifting tides of change in the food industry. This merger was made possible by billionaire and junk food enthusiast Warren Buffet along with 3G Capital. The two well-respected business institutions will be looking to change the way people view Kraft products and institutions closely linked to Heinz. This comes on the heels of the public mocking some marketing choices for Kraft Cheese Singles. 3G, known for its tough cuts, is bound to make some strong changes as the merger finalizes later in 2015. News of the merger broke in the early morning of the last Wednesday in March. This information, while new, doesn't come as a complete surprise for those of us following the market trends. The deal, according to MarketWatch, is likely to reach over $40 billion. The combo company, to be dubbed The Kraft Heinz Co., is expected to have a revenue of over $28 billion, with spend management savings to top $1.5 billion by 2017, indicated the source. 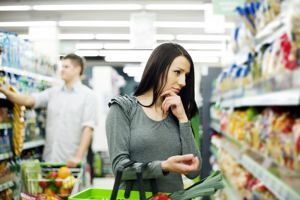 These numbers for the annual cost savings is a huge relief for Kraft Foods, which has been suffering as a result of the health food trend and consumers' desires to veer away from processed foods or any products with additives or chemicals. Fortune noted that Kraft executive teams felt that their marketing was no longer effective and the company has not kept up with the changing times. After Kraft's slew of failed attempts to brand its yellow processed cheese products as healthy, the public has been moving toward brands with fewer ingredients and a more holistic health image, asserted NPR. The way that these gastronomy giants are dealing with the shifting tides is acquisition. When the end game is to simply survive, getting roped into the competition and going through a slight rebranding process doesn't seem so bad. Also, these mergers are good for consumers. Since companies are paying attention and taking note of our changing tastes, we're beginning to see more promising ingredients like "real cheese." If these giants can transition to more natural products rather than just buying out natural companies, then perhaps we can begin to see real change in the food industry landscape. How long were companies hoping to ride the wave of their past successes and simply change their market strategy when people are closely reading labels for allergy purposes and dietary restrictions? When people are able to comp​letely customize their wardrobes and their technology, they are going to make sure they know what is going into their bodies. This shift toward organic and healthier options has been in the works for many years but just now taking over corporate America, no longer just he lives of "granola nuts" or people on diets. We love having choices - even our guilty pleasures have a place in our hearts - but we aren't going to continue supporting certain brands simply because the packaging suggests a more healthy food production process. We insist on the best, and we want our food providers to be on the same page as us.